The art piece was for the Conservation Poster Contest, a nationwide competition that aims to promote awareness of the environment and conservation among young Americans. The hard work paid off for the West Bend West High School ninth grader, as she received first place at the local and state levels and has advanced to the national level of competition in the division for grades 7-9. Klug has yet to find out if she placed at nationals. Three other West Bend students received recognition for combining their passion for art and science in the contest. Alina Prahl, Hunter Schutz, and Austin Gripentrog received first, second, and third, respectively, in the local level of competition for grades 10-12. The four students received trophies, art materials, and gift cards as a prize. 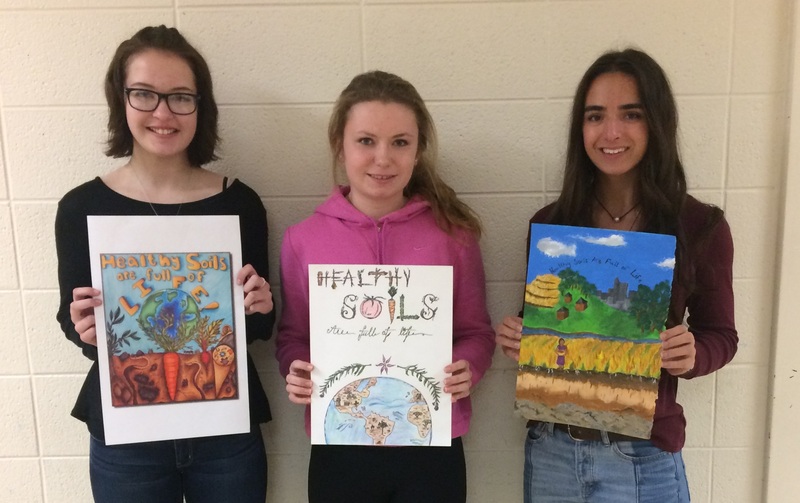 Their posters were also published in the 2017 Conservation Poster Contest calendar. Both the contest and the calendar are sponsored by the National Association of Conservation Districts. “I’m really happy that I worked so hard on something and it was able to be published,” Klug said. Environmental science teacher Paul DeLain, who encourages his students to participate in the contest every year, was pleased that West Bend had so many talented students that chose to further their learning through the contest.